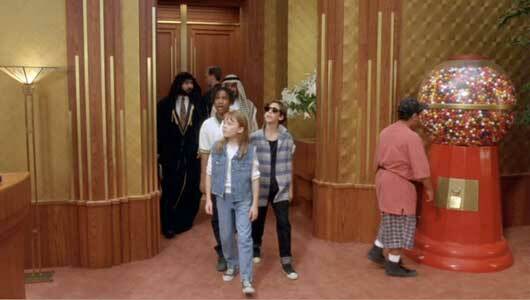 Stephi Lineberg wears black high top Converse “Chuck Taylor” All Stars in the film. Richie and Gloria are relaxing on Richie’s estate. In the 90s, there were more movies based on Harvey Comics than Marvel Comics. If you don’t count TV movies. And, technically, Marvel bought Harvey, which led to Richie Rich and Casper movies being made. But, still... The Rich family is worth $70 BILLION, which was a lot in the 90s, especially before the dotcom boom. Loving couple Richard and Regina Rich (Edward Herrmann, Christine Ebersole) have a son, Richie (Macaulay Culkin). He’s grown up enjoying the family’s tremendous wealth. He’s trained by Reggie Jackson, gets aerobics instructions by Claudia Schiffer, and he has... HIS OWN MCDONALD’S! Richard always has time to play catch with his son, though, and Regina clearly cares about her son’s happiness. Richie also gets science lessons from Professor Keenbean (Michael McShane). And loyal butler Herbert Cadbury (Jonathan Hyde) is always there to protect Richie. Nobody’s saying this kid isn’t loved and doesn’t have friends. 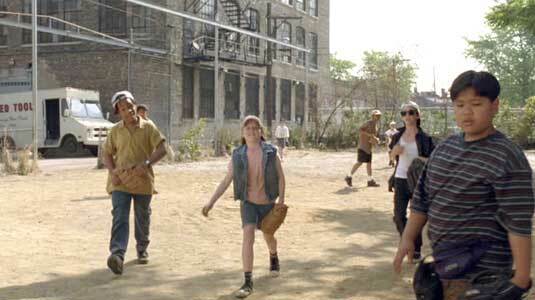 The local kids laugh when Richie wants to play baseball with them. Richie is learning the family’s business and values, of caring about employees and charity, values not shared by Lawrence Von Dough (John Larroquette). Von Dough covets whatever’s in “the family vault,” wherever that is. While Von Dough puts his scheme into motion, Richie longs to play with kids his age, normal kids who aren’t wealthy snobs. He looks across the street from the family’s recently acquired tool factory and sees kids playing baseball in a sandlot. 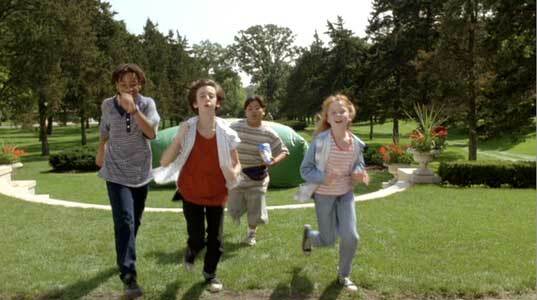 Gloria (adorable Stephi Lineburg), wiseass Tony (Michael Maccarone), and a black kid and a fat kid, laugh at Richie for being rich. A bomb is placed on Richard and Regina’s plane as they go to have tea with the Queen. While Richie plays with his new friends, playing ATV tag and riding his roller coaster (that’s actually at Six Flags, which was advertised at the start of the VHS) the bomb goes off, leaving the parents stranded in the middle of the sea. Richie doesn’t believe his parents are dead. Von Dough takes control of the family business and closes the tool factory. Gloria’s mom works there, so Richie steps in, taking control. Cadbury has inherited the controlling stock, and gives the power to Richie as a proxy. Business! Richie’s innovations and ideas, like not firing employees at the bottom, cutting corporate salaries, and improving the quality of their products, lead to record profits, to Van Dough’s ire. 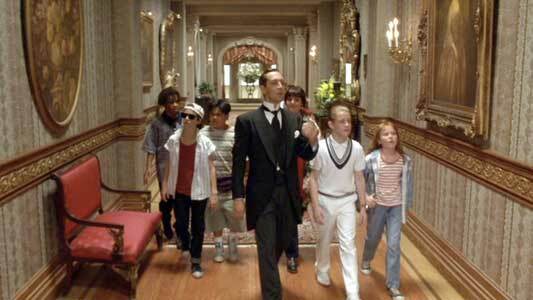 Cadbury leads Richie’s new friends on a tour through Richie’s mansion. The kids are amazed at the different features of the mansion. Richie Rich is very formula. And now that I think about it, there’s a bit of Home Alone in the recipe, what with Richie getting crooks out of his home using various tricks, specifically Keenbean’s wacky inventions. There are no surprises, and the drama is actually quickly resolved (he gets friends by the second act). But, there’s some actual pleasures. It’s funny, a bit. McShane and Hyde are both very entertaining. The then-expensive CGI effects are quite good. And the big finish on Mount Rich-more is a great effects sequence. (The scene itself is merely okay.) And Culkin? Well, he’d gotten older. He wasn’t a terrific actor, if we’re honest. And he just makes no impact here. He’s sort of an emotional void, to the film’s detriment. The film, though, is basically passable but fun entertainment. The kids end up having a very good time. Richie challenges the kids to a batting contest. 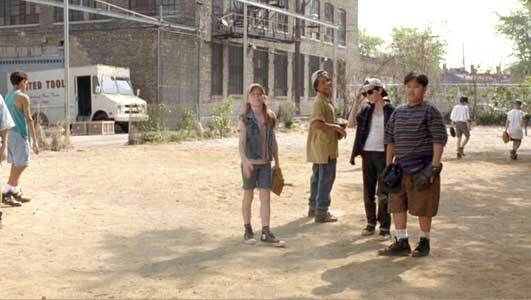 Richie asks to join some kids in their game of baseball. 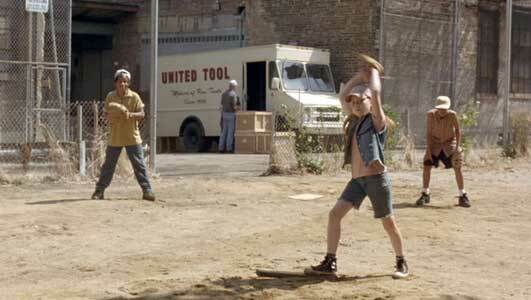 Gloria (Stephi Lineburg), tomboy queen of the sandlot, tells him to buzz off. Richie challenges her, though, and she can’t back down. Gloria winds up and gives Richie her best pitch. 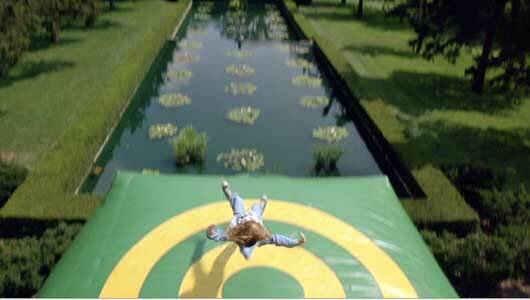 Later, all of the kids are at Rich Mansion and getting shot into the air on a kid-apault. Lots of kids in chucks as they fly into the air. Gloria fall on the tarp below after trying the kid-apault. Richie Rich. (1994) Macaulay Culkin, John Larroquette, Edward Herrman, Jonathan Hyde, Christine Ebersole, Stephi Lineberg. Directed by Donald Petrie. Categories: Comedy, Family.